One of the biggest struggles for those of us that adhere to the trad look is well… looking contemporary. The classic look that we all know and love definitely skews dressy in today’s casual workplace. Due to this I like to highlight items that help to push trad forward while at the same adhere to the trad aesthetic. I just spotted a few such items from the French workwear Vetra. If you are not familiar with the name Vetra I am sure that you are familiar with bold blue chore jackets that are synonymous with the brand. 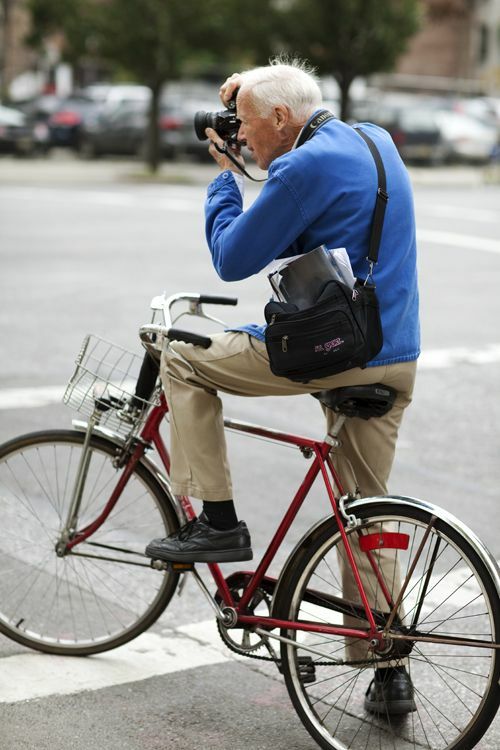 NYT’s Bill Cunningham might be the other biggest association with the brand. Bill wore them well. To cut to the chase not only are chore jackets uber popular now, but they also bleed over into the current indigo rage. While the chore jacket is cool, Vetra has some even cooler choices for us trads. These cooler jackets are very similar to Keydge Slack jackets which are also cool and ivy, but are hard to source here in the US. The Vetra jackets that I spotted and liked are 3-button with flap pockets and are extremely slouchy. The icing on the cake is that the pricing is not outrageous ranging from $165-300. I have included my 3 favorite’s below. If you are a young guy that wants to start a sport coat, but aren’t quite ready to go full on blue blazer and repp tie this coudl be a great place to start. At the same time if you are an old school die hard trad you may want to think about adding one of these to your closet and break it out on casual Friday, the weekend, or even on vacation. If you don’t fall into either of those categories like myself you may just want one and that’s okay too. I am not going to hide the fact that I am a huge proponent of cuffed chinos. I am. I admit it. I am proponent of cuffs for two reasons. The first is weight which helps with drape. The second is that I think that it makes the pants look complete.I’ve stated why I like cuffs, but what don’t people like about cuffs? They are too formal for chinos. This is the most common reason that I hear as to why people don’t like cuffs. These people are right. Cuffs are the more formal of the two, but outside of menswear blogs this knowledge is not widespread. For example, chinos were once super casual, but are now seen as dressy by most people. I will also admit that at times I buy chinos for casual wear without a cuff. What I do is usually turn up the hem. I see this all of the time on other people from every range of style and pants from chinos to jean. All I am saying is don’t overthink the formality of it. The other reason that I hear is that people don’t like the way that they look. This is not a point that I can argue. All I can say is that to my eye chinos that are cuffed especially at work look better. They anchor down the leg opening so that it doesn’t flap around, provide additional structure, add a little taper to the chinos. “I believe the importance of joints, intersections, and edges at the top is pretty well understood: the importance of the relationships between shirt, tie, jacket, lapel, notch shape, gorge height, and collar roll is a focal point of men who care about their appearance. It is, after all, what they see in the mirror every morning. With long days ahead filled with warm weather, lawn care, cookouts, visits to the pool and vacations it is officially polo shirt season. So, I have strung a few thoughts together on what you need to know when grabbing a new polo shirt such as color, length, and yes, even logo. When it comes to color I like to keep it simple. This means, white, navy, and hunter green. White polo shirts work best 99% of the time. White polos might also be the only thing that pairs well with patchwork Madras shorts other than a blue OCBD. When white does not work navy or hunter will. If I were to extend this list to other colors I would add light yellow, kelly green, and tangerine. Last, but not least avoid wearing a red polo to Target. You will thank me. Where can you get them? The great thing about polos is that you can find them just about anywhere and at just about any price point. I recommend buying cheap polos that are logo-less and wearing them hard, but there are plenty of high-end polos on the market for someone who wants a more refined look. Just consider wear you plan on wearing this polo prior to making your purchase and you should be fine. There are a few other considerations to make outside of color and cost. One is tail length. Are you going to wear this polo tucked or untucked? Another consideration is logo. I am a no-logo type of guy, but that’s just me. There are plenty of trad approved logos like the Polo horse, Lacoste gator, Brook’s Brother’s golden fleece, and a handful of others. I have often use the analogy that polo shirts are t-shirts for adults. While this is a bit facetious it helps drive home the point. The point being is that as grow up our play clothes change and there is almost nothing that you can do in a t-shirt that you can’t do in a polo shirt. Plus, you will look a lot better doing it! On casual Friday I broke out my Merona Chambray popover from Target. It was a warm day and I wanted something that looked summery. Before I made to my office I already knew that I had succeeded as I had accumulated a handful of compliments on my way. I found this interesting as I had assumed that the general public would find popovers a little weird. I was wrong. Later I posted on Instagram and got a similar response. The moral of the story is that popovers are still popping. The ivy/trad crowd loves them and it turns out that the general public likes them too. To top it off Target is offering their popover again this summer for all of $20 (Target Merona Popover). You are welcome. Enjoy!